If you ever want door installation Pleasant Plains, Washington DC professional services, check out King Door and Lock Maryland and DC. You can expect full door services. Is the entry door of your residence damaged and in serious need of replacement? Is your garage door in such lousy shape that you can hardly get it to open these days? If you happen to possess a small business, are the exterior doors to your venue advertising the preferred appearance and do they continue to contain the usefulness that you want? Regardless of whether you have to have a door for a business or home, or a new garage door, we are your fast and pleasant, 24/7/365, superior DC service provider. King Door and Lock performs exceptionally well not only at non-commercial garage doors but we also repairs and replaces commercial garage doors. 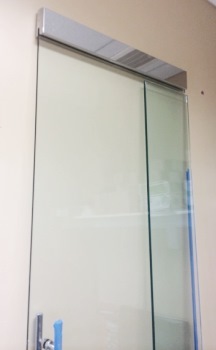 Make the most of our complete door solutions so that our company can help your company to succeed. Our quick and pleasant experts can get to your to your promptly to tell you how much repair or installation will cost you. We will subsequently deal with the job effectively and with courtesy so you can give attention to your own business. Maybe you already have a garage door, but it really just isn’t working as well any longer. For the exact same reasons provided above, you need to be certain that garage door repair is done properly the very first time to safeguard the possessions you keep in there. Our skilled professionals will look into your garage door and notify you if it needs replacing or if it can simply be repaired. We will tell you what it will cost up front so there will not be any surprises when you get the invoice. Are you thinking of installing a new garage door for your Pleasant Plains home or office? Let King Door and Lock Maryland and DC take care of your garage door installation. It is necessary that a garage door be handled by specialists. Your garage is the ‘home’ for your vehicle and various other things that the majority of us keep in there: lawnmowers, leaf blowers, motorcycles, etc. It is necessary that your garage doors remain safe and functional. You want the task done properly by our highly skilled technicians making use of their advanced tools and equipment which allow them to handle any job of this nature. The team at King Door and Lock stands out in replacing and repairing all kinds of household doors. Is your storm door falling off its hinges or seen better days as far as the shape the door is in? Our professional and trustworthy experts will check out the problem and after that, explain to you exactly what a storm door repair or storm door installation will cost you. The front door of your dwelling stands out as the first thing guests see once entering. A front door installment from King Door and Lock gives off professionalism, workmanship, and high caliber to any person who walks through it. When you invest in entry door installation from King Door and Lock, you’re going to get transparent pricing so that you will know precisely what you will be paying for. You can have certainty in the work that we carry out when installing one of your doors. We’re able to also work on your back door leading to the backyard or deck, whether it’s a traditional hinged door or a sliding glass door. Depending upon how old the particular door is, we can either work on patio door repair or full replacement. King Door and Lock is known for supplying the best door installation Pleasant Plains, Washington DC support. Door installation, repair, and replacement specifications for commercial properties may be significantly different from a residence, so make sure you seek the services of specialists in industrial door installation and repair. Your building could have several front doors that will need to function seamlessly next to each other whenever a consumer arrives and exits. In comparison to residential doors, industrial doors are usually built with more complex hardware. You are going to appreciate our very skilled technicians repairing your storefront door. We know, as a business ourselves, that you are consistently keeping an eye on your financial well being. King Door and Lock Maryland and DC believes that you will not get a better value with regard to door installation or door repair than we offer. Beware of businesses with unbelievably low prices because it is highly likely that their work will likely be of cheaper quality. You’ll appreciate our straightforward pricing combined with our quick, helpful service, so you’ll understand your door standards will be handled quickly and there will not be any hidden fees on the invoice. The technicians at King Door and Lock Maryland and DC are the door industry professionals. For door installation Pleasant Plains, DC services, contact us. We supply full door services: door installation, door repair, door replacement. Our 24 hour door expertise includes residential doors, industrial doors, and garage doors. King Door and Lock services not just exterior doors, but also excels at internal door installation and repair for homes or offices. Interior doors our company specializes in replacing and repairing comprise bedroom doors, pocket doors, and closet doors. Our specialists will first consider exactly what is required to be carried out. Perhaps you won’t require a brand new door. It could be a matter of a door jamb repair or even a door hinge repair. In the event the door frame is old, then maybe a door frame repair is all that’ll be essential. Our professionals will isolate the problem, figure out what really needs to be done, and afterwards, give you straightforward rates so you will have the knowledge you will need to make a good decision. If you’re in Pleasant Plains and the vicinity, contact us today. We’re here for you 24/7/365! 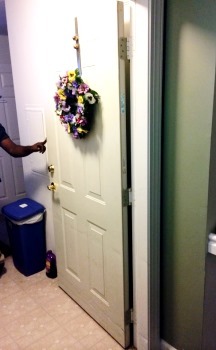 Our Door Installation Pleasant Plains, DC Services https://kingdoorandlock.com/dc-door-installation/pleasant-plains/ 4.2/5 based upon 26 reviews.